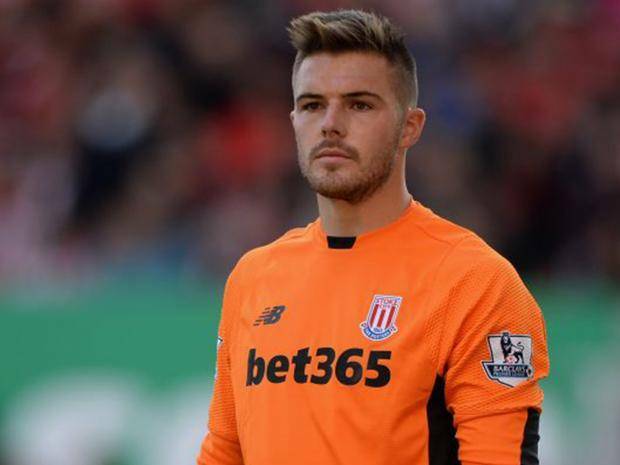 Home > Unlabelled > Jack Butland speaks about Stoke City relegation. Jack Butland speaks about Stoke City relegation. Stoke city was confirmed relegated from the Premier League following a defeat to Crytal Palace on Saturday. Their goalkeeper Jack Butland has now spoken out and blamed the club for making unnecessary transfers and buying players that can't be rely on. Jack Butland also speak about the signing of Paul Lambert and his confident on the new coach. 'I believe Paul's had an extremely difficult job, he inherited a squad where, unfortunately, there was ill-discipline and players you cannot rely on. 'I believe the manager is the right man for the job,' he concluded. Stoke City will be playing in the Championship next season and they will look to make a good impact so as to return back to Premier League in the coming season.